A majority of Americans believe that Bill and Hillary Clinton failed to avoid conflicts of interest as millions of dollars flowed into their corrupt family foundation, according to a new national Suffolk University/USA Today poll. 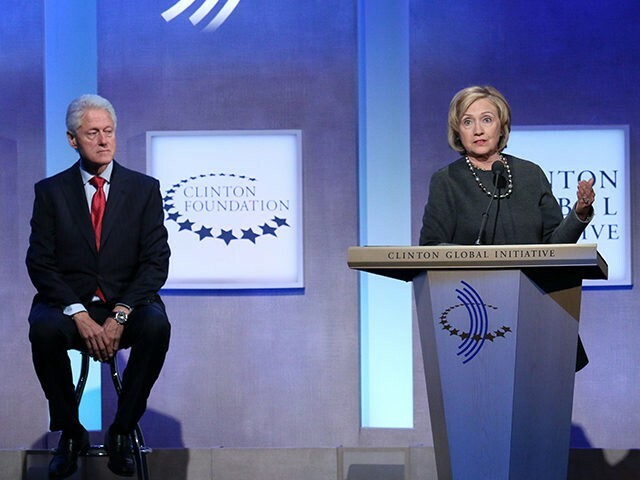 Fifty-four percent of likely voters said the Clintons “didn’t take appropriate steps to avoid conflict of interest in donations to the Clinton Foundation,” said the poll, published on Thursday. Even 33 percent of likely Democrat voters said the Clintons did not do enough. The Democratic nominee has been dogged for more than a year about allegations that she used her position as Secretary of State to sell access to major Clinton Foundation donors. Allegations of pay-to-play at the Clinton’s troubled charity have also led to a flood of calls from left-wing and center-left media for the Clintons to shut down their multibillion-dollar charity. About 75 percent of Republican voters said the Clintons should have done more to avoid conflicts of interest with foreign donations to their foundation. The poll, which was conducted Aug. 24-29, via landlines and cellphones, and which included 1,000 likely voters, was published on the heels of Bill Clinton’s promise that he will resign from the Clinton Foundation board if Hillary Clinton wins the White House in November.